Spot styrene prices prolonged the downward trend that has been in place since August in Europe and the US, with both markets hitting their lowest levels in more than two years. Asian spot styrene prices also extended their weekly losses to see 18-month-lows. Spot styrene prices in Europe fell below the $1000/ton FOB NWE threshold for the first time in two years and hit their lowest levels since October 2016 amid the continued weakness in the market sentiment. In addition to the persistently thin sentiment, lower crude oil futures and the globally decreasing prices contributed to the recent losses. 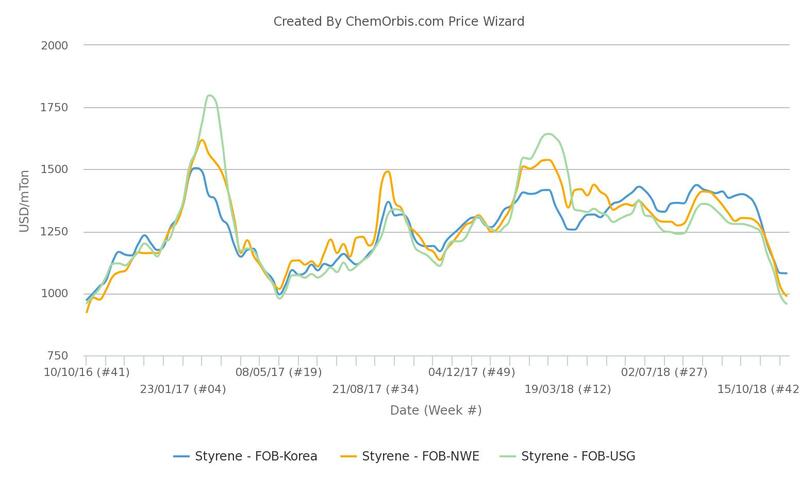 The weekly average data from ChemOrbis Price Wizard suggest that spot styrene prices on an FOB NWE basis have lost around $420/ton, or nearly 30%, since the beginning of the downtrend in mid-August. Similarly, the US styrene market extended its three-month downtrend after the US benzene spot prices plummeted to a two-year low, tracking the steep declines in crude oil prices. Another contributing factor for the weakness of the US styrene pricing was muted demand. Data from ChemOrbis Price Wizard indicate that the weekly average of spot prices on an FOB USG basis has lost more than $390/ton, or 30%, since August and hit its lowest level since October 2016. In Asia, the weekly average of spot styrene prices recorded further losses, reflecting thin trade activities and hitting its lowest level of the past one and a half year. The bearish trend began in August and resulted in a cumulative decrease of more than $350/ton, or 25%. 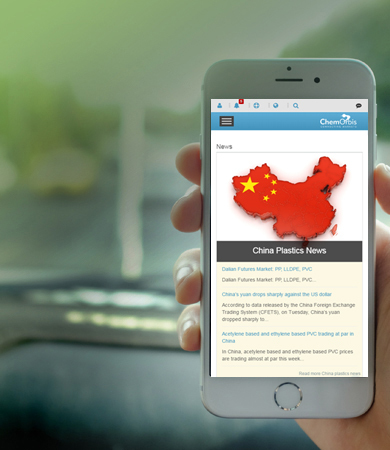 Weak demand and the growing concerns over the mutual tariffs imposed by China and the US on styrene imports have weighed on the market.